It started with a 4-pan quad and ended with a 15-pan palette. 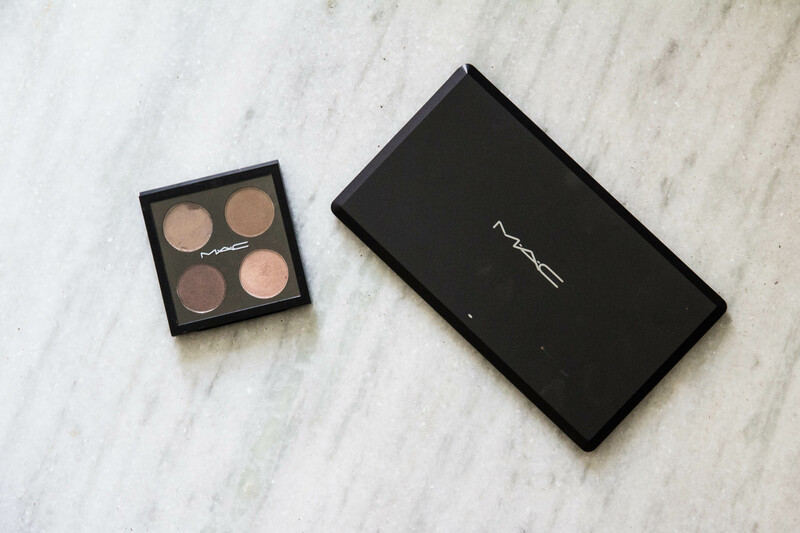 Today I’ll be documenting the end of my Mac eyeshadow journey. I had decided a long time ago that it deserves a post of it’s own when all the pans are filled. I think it was back in October when I bought my last eyeshadow, Twinks. 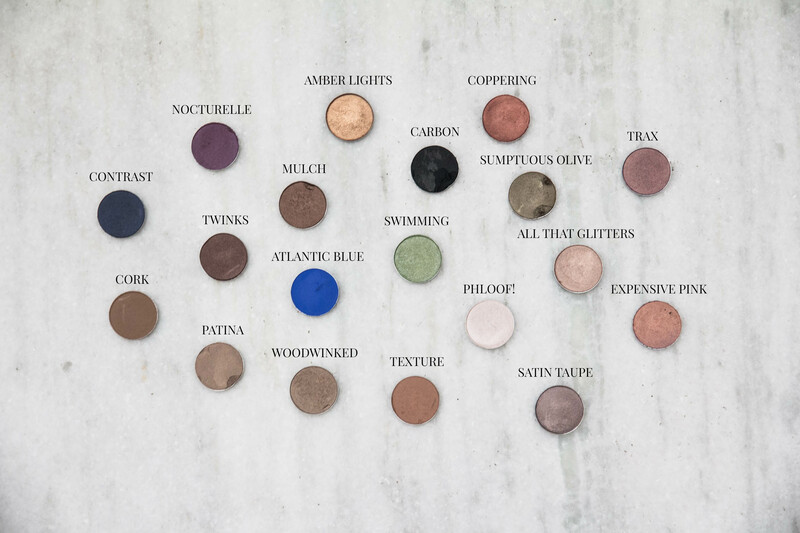 So here they are, some of the best and worst Mac eyeshadows! I’ve also included a little top 5 at the end. The first couple of eyeshadows I purchased were all “fun” bright colours. This was waaay before I saw the beauty in neutrals. To be fair though, I did own the Urban Decay Naked palette at the time, so I had my bases covered. 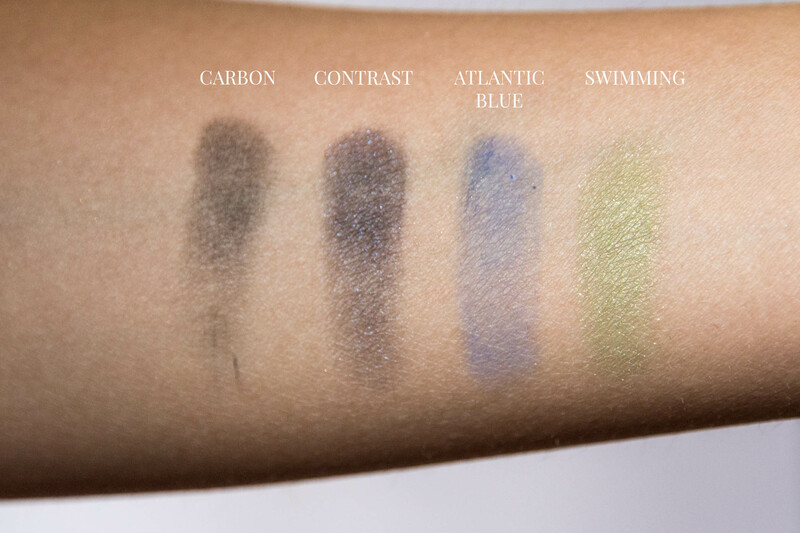 If you’re reading beauty blogs or watching YT, you inevitably get the Mac eyeshadow bug as I did. Past the initial crazy colour stage, I’ve been very sensible with my purchases over the last 5 years. 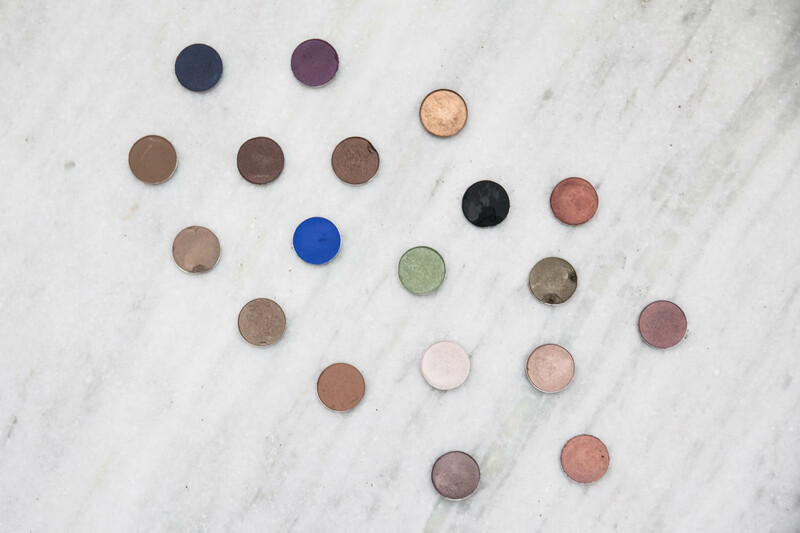 Most of the eyeshadows will be in use for a long time and are colours that definitely suit me. I do feel like buying these in 2016 is very different from buying them in 2010 though. Urban Decay Naked was out at the time but I didn’t have Lorac Pro, Too Faced, Tarte, Viseart etc and so many other options to consider. I definitely don’t see the value in Mac now that I once did. 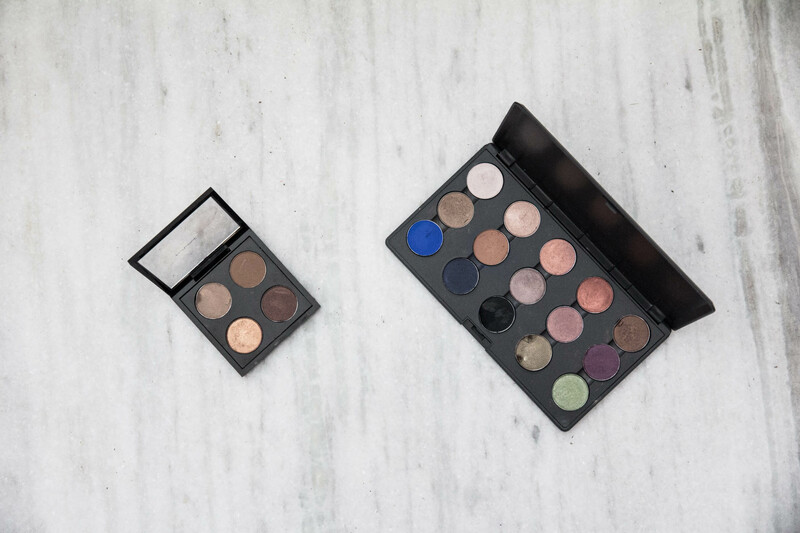 However, if you’re buying makeup in India, Mac is still one of the better choices when it comes to eyeshadows in palette form, the other being Inglot (which is half the price). Quality wise most of these are good but I do find that even with similar finishes, there are a lot of inconsistencies. 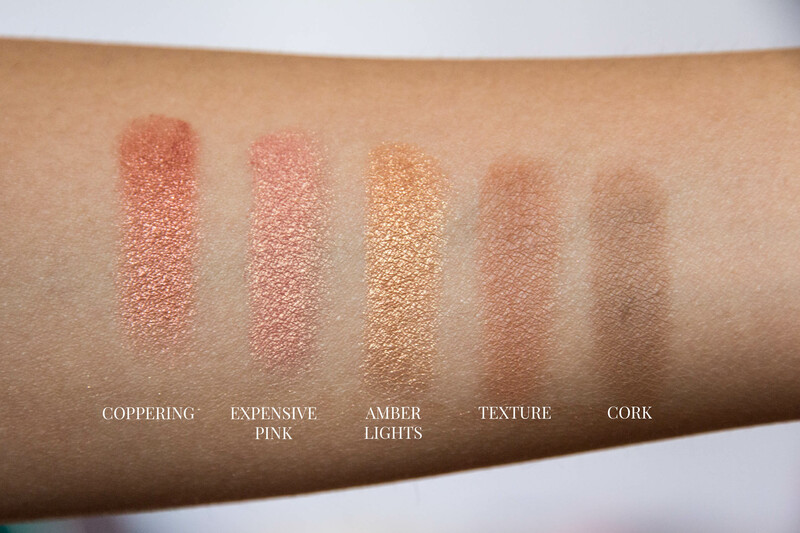 I’ll talk more about this below but basically I don’t like the mattes but love the satin and pearly ones. Even without a primer, the good shades stay on me for 8+ hours and do not crease. They also blend very well together. Also, if you’re wondering why some of them look tortured, it’s because I can’t depot eyeshadows gracefully. I’ll list the names with the official descriptions and finishes below. Swatches will follow along with my mini reviews on each. Also, the swatches are without a primer underneath. My love for Coppering is a one-way street. As much as I love the using it for the vibrancy and quality, it’s not the best for my skintone. It’s too warm but I’ve learnt to use it more delicately now, placing it on a smaller area of the lid and pairing it with more browns. If I had to pick just one eyeshadow from the lot to keep forever, it would be Expensive Pink, it might just be the best pink eyeshadow ever (in my opinion). It’s my go-to colour for occasions like Diwali, weddings etc. It’s not an everyday colour but it looks so festive and brightens up the eye. You can use it in so many ways. My favourite is to pair it with Amber Lights, a bright gold along with a shade like Mulch in the outer corner. Texture is a surprise find that made me love warmer browns. It’s perfect for all over the lid and also great as a transition colour for smokey eyes. I love the satin but almost matte finish as well. Cork is another such shade that’s a much closer match to my very discoloured eyelids. I love this for evening them out. I was once in Mac with the intention to buy Nylon but walked out with Phloof!. Nylon has too much of a green-yellow iridescence that I don’t quite like, while Phloof is more of a pearly white with slight pink iridescence. Amazing on the brow bone or inner corner as a highlight. All That Glitters is an amazing peachy champagne colour. I can see why it’s so popular with people but in my opinion it looks better by itself on paler skin. I definitely need to use it with other eyeshadows and to make good use of it (which I do). Satin Taupe is one of the rare cool toned shades I like on myself. It can subdue silvers or brighten up darker browns. But it’s the only eyeshadow that can make your lid look smooth like fabric, which is one of the inconsistencies I spoke about before because I have other ‘frost’ finish eyeshadows that don’t have this effect. It’s possibly because of the size of the shimmers but whatever it is, I love it. I have the two purple eyeshadows Trax and Nocturnelle. 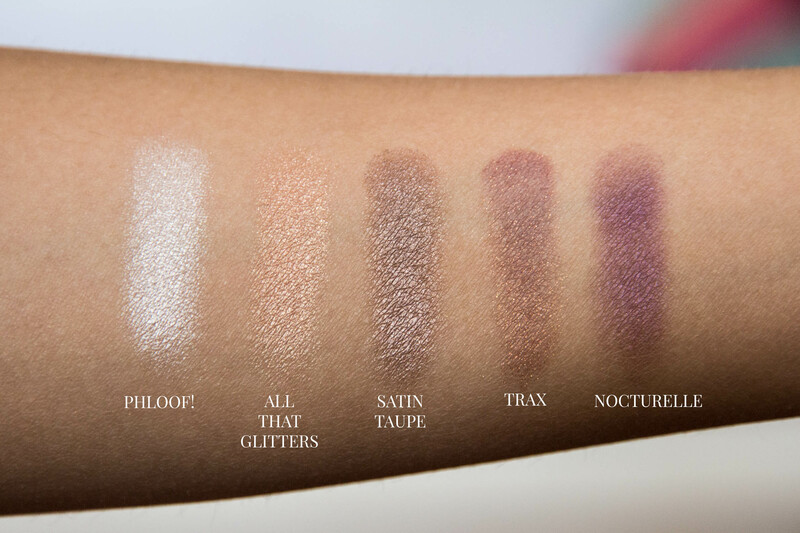 Trax is a very unique shade, like a dusty purple with gold shimmer. I wish it was more pigmented though. Nocturnelle is one of those eyeshadows I’ve fallen out of love with. I was very much into purple and black smokey eye combos at the time but overall quality wise, I’d say skip it. Woodwinked is one of those all over lid colours I love wearing just by itself. It’s a brown tone lighter than my lid colour and so it’s great at making that area a little brighter. There was a time my Mac quad was constantly on my top shelf and Woodwinked was all I would wear before heading out. Patina is similar to Burberry Pale Barley and I don’t need both but it’s gorgeous nonetheless. I don’t find use for this on it’s own like Woodwinked but in conjunction with Satin Taupe and darker shades like Mulch, it works well as an in between. I went through an insane olive/khaki eyeshadow phase last year. I should probably do a post on it but one of my best finds was Sumptuous Olive. I can’t believe it took me this long to buy it. It’s the best colorway to add “colour” to your eye without going too bright. You’re stepping out of the house but you’re still in the yard. It has a brown base and works really well with darker browns. Speaking of darker browns, Mulch and Twinks definitely come under that banner. Both are very similar but Mulch is more of a yellow warm brown and Twinks is more red. Mulch is my go to dark brown but I use Twinks when I’m working with shades that have more red or purple to them like Trax or Nocturnelle. I saved the duds for last. Carbon doesn’t swatch well but I do find it useful when it comes to smokey eyes. It would be difficult to mess up with that level of pigmentation, it’s a colour that needs to be built up. I now use the matte black from my Lorac Pro which is much more pigmented, Carbon doesn’t get much love anymore. The gorgeous blue pearl in Contrast barely shows up and the eyeshadow also needs to be layered many times. I really wish the base was more navy than black though. Atlantic Blue is an eye popping cobalt blue that fails to show up on skintone. I did once recreate this eye look by building it up atleast 30-40 times. I’m not even kidding. That said, it’s a colour that makes me happy when I look at it, much like Urban Decay Woodstock is another, and so no regrets! Swimming is a purchase that makes me question where my head was at. I was ultra noob when it came to makeup at the time and I was probably going for ‘colours that look nice’ rather than colours that suit me. This is also my least used Mac eyeshadow. I wish they did Back 2 Mac for refill pans. 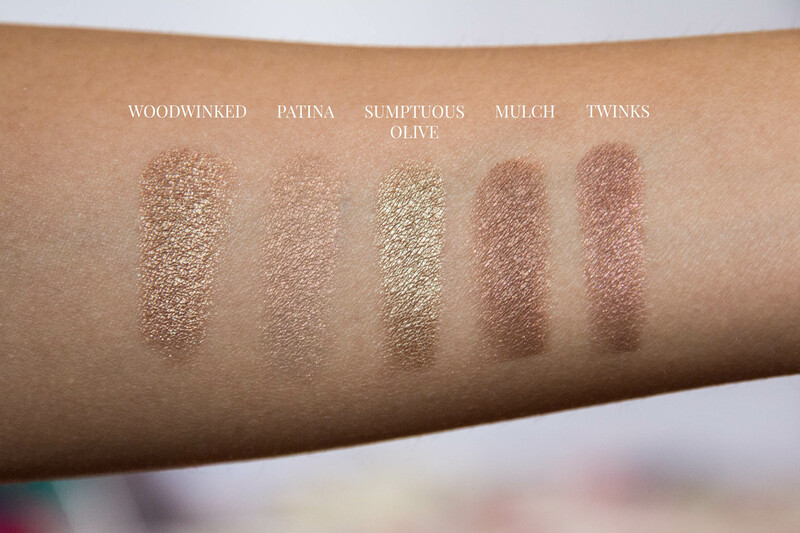 Overall, if I had to recommend 5 Mac eyeshadows, I’d say go for Expensive Pink, Woodwinked, Sumptuous Olive, Texture and Mulch. I think they are all flattering on any skintone. This brings the chapter of Mac eyeshadows in my life to a close. I won’t be buying any more unless I actually use one up. Please share your favourites! PS. I also kinda wish I had the new palette with the transparent lid. Nope, not even going to think about it.